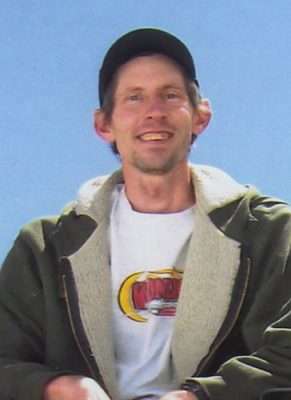 Mike Medley was born July 10, 1973 and passed away Nov. 2, 2017 at his home in Centralia, Washington. Mike was preceded in death by his grandparents, Joe and Alta Medley; and his father, Jerry “Bear” Medley. Survivors include the love of his life, Rachel; his mother, Jan Medley; one brother, Matthew (Sarah), of Cloverdale, California; his daughter, Andie (Adam); grandsons, Dallas and Eric, of Marsing, Idaho; Bobbie Lynn Medley, of Arizona; and by his aunts and numerous cousins. and Quincy and numerous other logging companies as well as rock transportation. During high school, he became an explorer with the Cloverdale Fire Department. When leaving the area and moving on, he continued volunteer firefighting wherever he lived, including the Loyalton Fire Department and Susanville Volunteer Fire Department. While living in Susanville, he attended Lassen Community College, studying fire science and was active in getting the old LCC fire truck refurbished and available for mutual fire aid to the community. It was during this time that he met the love of his life, Rachel Morris. They studied and headed up fundraisers for the LCC fire science program. As Mike was offered a job back in the logging industry, he chose to return to truck driving, ending up in Centralia where he drove for numerous companies. A Celebration of Life has been scheduled for Dec. 2 in Centralia. Immediately following is a trucker parade/tribute by the many friends with whom Mike shared their love for truck driving. Mike will be greatly missed by his family and the many friends he made in his young lifetime. Donations may be made to your local fire department in his memory. Richard Dorrin DeVose, 89, passed away on Nov. 13, 2017 in Reno, Nevada, surrounded by his loving family. Richard was born on March 3, 1928 in Susanville, California, to Raymond and Alberta DeVose. He was one of seven children, having three brothers and three sisters. 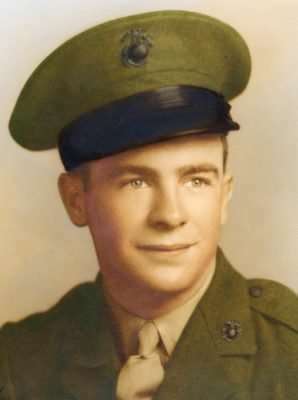 In 1944, Richard joined the U.S. Marine Corps. After he returned to Susanville, he married his high school sweetheart, Nicky Anderson. Richard worked at Fruitgrowers Supply Company, CP National and Lassen County Road Department. Richard was preceded in death by his parents, Raymond and Alberta; his brothers and sisters, Harold, Lois, Hubert, Charlie, Dorothy and Helen Jeanne; and his great granddaughters, Elizabeth and Katie Morgan. He is survived by his wife of 69 years, Nicky (Anderson) DeVose; his two daughters, Marianne Philipenko (Harry), of Susanville, and Rickie Rich (Russell), of Auburn, California; five grandchildren, Jim Morgan, Karly (Kostick) Miller, Sam Rich (Jen), Rebecca Beiles (Jason) and Lindsey Rich; six great-grandchildren, Saige Morgan, Dominic Miller, Allen Miller, Aleah Miller, Matthew Belles and Emma Belles; and numerous nieces and nephews. Funeral services will be held at Walton’s Colonial Mortuary at 1 p.m. Nov. 25, 2017.